I hope you're excited for Work Tasks #2! Again, my work task station is one of my favorites in our morning routine, because students are expected to be independent and they shine given the opportunities! 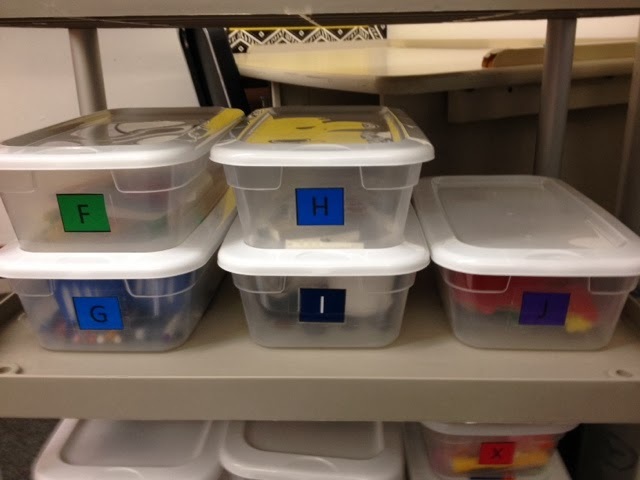 I give students three letters on a mini schedule and they find the boxes and then complete them in order, ideally moving from one box to the next on their own. I like this box for working on fine motor and 1:1 correspondence. 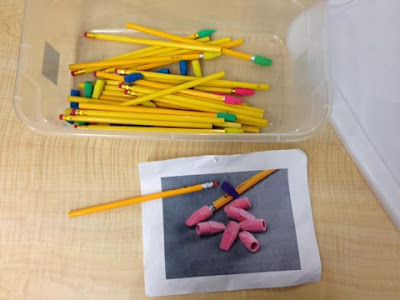 The student has to put one eraser on each pencil (and they have to put it on the right end!) 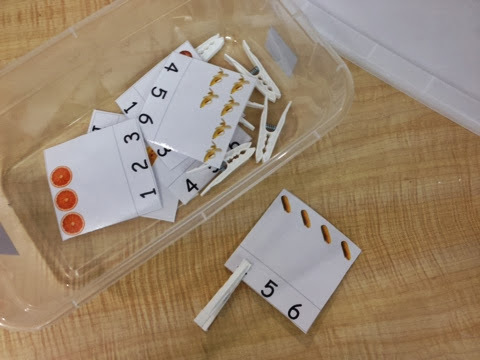 When one of my students was having trouble with this task, one of my aides quickly printed this picture off from Google images. Easy, efficient, and does the job! This is another simple box, sorting pencils from pens. I used different types of pens and pencils to make it just a little more challenging. I started out the year created these visuals for each box...but didn't end up making them for all of the boxes. For this box, the student counts the items and then puts the clothespin on that number. 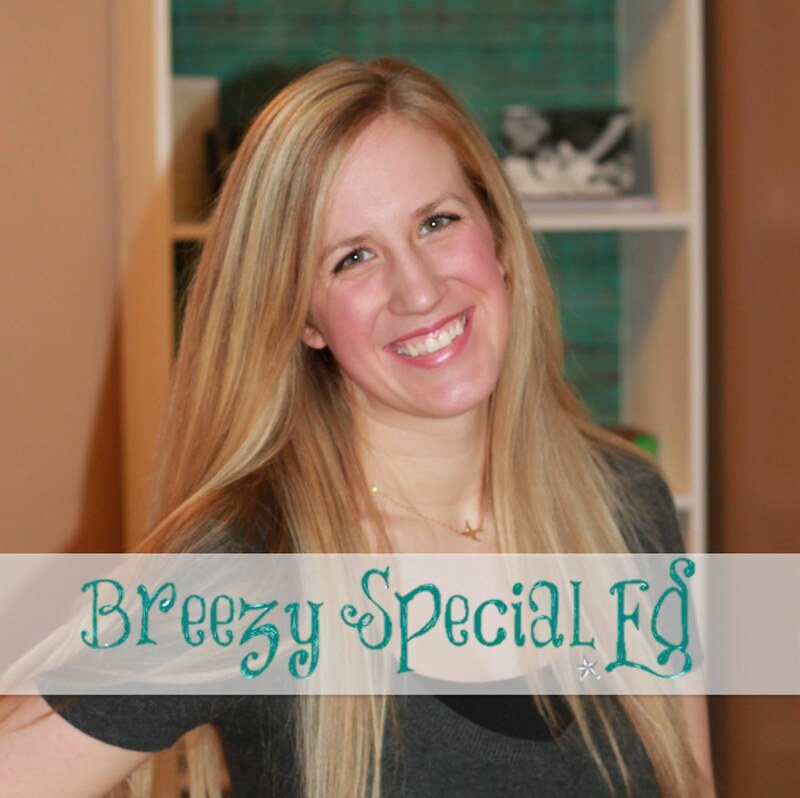 I think this set came from a health unit created by Kara at Sped-ventures! When using coins, I typically like to use real coins, because plastic ones just don't seem like coins and they really don't look much like the real thing....however, since I had them I decided to use them for this sorting activity! 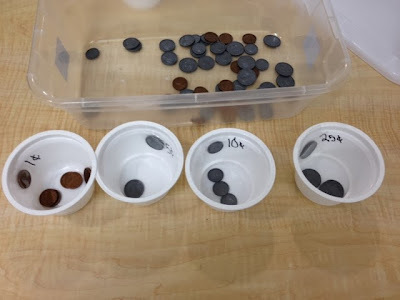 I taped a coin and wrote on amount on each yogurt cup for students to sort the coins in. (I use yogurt cups for a lot of things in my classroom). I found these lacing cards at a garage sale for $1 this past summer. 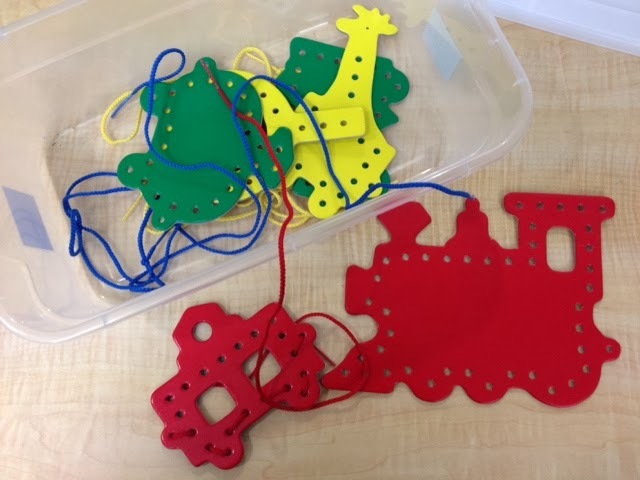 I often have some students lace and other un-lace for this task. This seems to be a calming activity for a couple of my students when they are very active, probably because they have to focus so much. 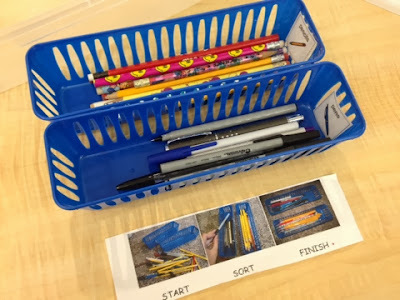 If you haven't yet, be sure to check out Work Task boxes A-E. And if you need materials to set up a work task station, check out these materials on TpT. Also, check out these posts to see tons of more work boxes! You are so welcome! And I'm sure you're a pro at adaptation :) I did a similar work task to the pencil/eraser task this summer with a student with not so great fine motor skills, and we had him put the pencils in pre-made holes in foam and then add the eraser on top, still requires fine motor but only one hand is needed at a time. Or sometimes taking things apart is a great task too!